The DNeasy mericon 96 QIAcube HT Kit enables simple, automated purification of DNA from a variety of raw and processed foods on the QIAcube HT system. Using proven DNeasy silica-membrane technology in a convenient 96-well format, contaminants and inhibitors from complex food matrices are removed to yield high-quality DNA ready for downstream analysis. 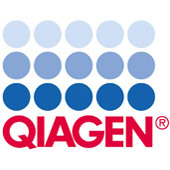 The kit forms part of the comprehensive QIAGEN food testing portfolio, which also features assays for pathogen and GMO DNA detection and ingredient authentication.